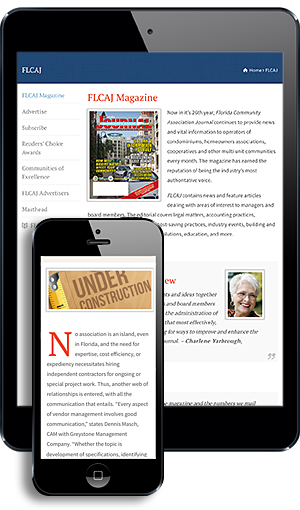 Editor’s Note: Florida Community Association Journal would like to introduce some new advertising partners and their services. Founded in 1953, Campbell Property Management is South Florida’s highest rated community association management company and one of the largest and most experienced, locally-owned property management companies in South Florida. With five fully staffed offices and more than 700 full-time employees, Campbell serves more than 350 associations in Broward, Palm Beach, Martin, and Port St. Lucie counties. Their management services include administrative, financial, accounting, maintenance and janitorial, valet and concierge, social director, gate access, human resources development, community website, information technology, and landscape maintenance. Although very similar in purpose, every board has its own unique goals and objectives, so there is no one-size-fits-all solution. Campbell’s experienced team invests the time and energy necessary to truly understand the needs of the community and board. They pride themselves on being responsive and providing customized solutions for their clients. They make a promise to the boards they serve: that Campbell will help them accomplish their goals and achieve the peace of mind they are seeking. Campbell guarantees satisfaction by giving their clients the right to cancel for any reason, at any time. The associations they serve have rewarded their performance with long-standing relationships, which have been proven by their market-leading 98 percent renewal rate. For more information on Campbell Property Management, call (954) 427-8770, email sales@campbellproperty.com, or visit www.CampbellPropertyManagement.com. 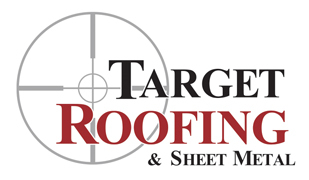 Target Roofing & Sheet Metal, headquartered in Fort Myers, is a licensed, insured commercial roofing specialist serving clients across Southwest Florida. Established by President Casey Crowther in 2015, the company has quickly built a reputation as a reliable, responsive roofing partner to a variety of commercial businesses, including retail, industrial, corporate, government, high-rise, multifamily, and schools. Crowther spent more than a decade learning business operations, management practices, and legal requirements as a superintendent and chief operating officer at his family’s roofing business. From there, he opened his own roofing company to assist property owners, property managers, and boards of directors for condominium and homeowner associations. Target Roofing provides new roofs, reroofs, and repairs as well as a highly popular preventative maintenance plan. At Target Roofing, the customer comes first—always—and the company’s business philosophy is ingrained in every brochure, client meeting, and conversation. “On Time and On Target” has become a guiding principle for every project as employees strive to complete projects within the specified timeframe and budget, delivering exactly what was promised. The company’s concierge approach to customer service offers access to an online customer portal to view detailed status reports, timelines, and other documents. Representatives answer calls and emails 24/7, so customers never feel out of the communications loop. Target Roofing proudly partners with boards of directors governing private communities, condominiums, and apartment complexes, which ensures that community standards and appearances are upheld while costs are kept manageable through bulk pricing. We aim for 100 percent satisfaction from 100 percent of our clients. For more information, please visit TargetRoofing.com, call (239) 332-5707, or email admin@targetroofers.com.